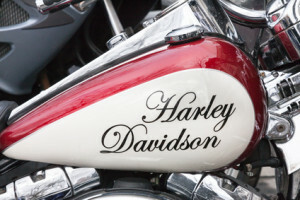 Harley Davidson has had a rough ride with its clutch systems in recent years and has recently announced the recall of 46,000 of its motorcycles citing a problem which is very similar to other recalls issued in the last two years. As the number of Harley Davidson motorcycles with defective clutches continues to mount, it is advisable that any Harley owner who has purchased a bike produced since 2013 investigate whether the recall affects his or her model. In the event that a faulty clutch system had resulted in an accident or injuries, victims may also be entitled to claim compensation for the cost of medical treatment and other costs. In 2013, Harley Davidson issued a recall of over 25,000 Touring motorcycles, citing an issue with the hydraulic clutch system that made it possible for the clutch to fail to disengage due to a lack of lift. The problem with this defect is that riders can find themselves unable to slow down or come to a stop, making it more difficult to avoid an accident or becoming the direct cause of a collision. The recall included a specific “do not ride” notice to owners of the bikes and a notice to dealers not to deliver any more of the vehicles until the issue had been repaired. In 2014, another 105,000 motorcycles were recalled citing a similar concern. The affected models included the CVO Road King and Electra Glide Ultra Classic and the recall was issued following nineteen incidents in which defective clutch master cylinders were found to be the cause of serious accidents. In the majority of cases, the complaint cited was that the clutch would cause the bike to move forward from a stop unexpectedly, causing an accident but the defect proved to be far more serious if the failure occurred while the bike was decelerating from more substantial speeds. Another recall was issued very recently citing the same failures in another 46,000 motorcycles which include Road King and Electra Glide models made in 2014 and 2015 as well as the Police Electra Glide, Street Glide and Road Glide models. The fact that Harley Davidson continues to be plagued by the failures of its hydraulic clutch systems may ultimately indicate the need to address an underlying design flaw or the manufacturing process itself in order to eliminate the need for future recalls and to protect Harley Davidson owners in the future. If you are concerned about the Harley Davidson recalls and wish to inquire about the status of your own bike, you can visit Harley Davison’s recall website at https://www.harley-davidson.com/content/h-d/en_US/home/owners/maintain-your-bike/service-recalls.html and look up the status of your vehicle using your VIN. If you have been in an accident and feel that the incident could have been avoided if not for a manufactural defect, it is important to gather as much information as possible from the scene of the accident. The best method of doing this is to take pictures of the scene of the accident as well as any and all vehicles that were involved. If it is determined that your accident was caused by a part known to be defective, you may be entitled to compensation. Keeping extensive records of your accident and any subsequent medical costs and financial losses could prove beneficial at a later time if you do decide to pursue legal action for the recovery of damages. For any additional information about the current Harley Davidson recalls and to inquire about your legal rights and options, you may contact the Rosenfeld Injury Lawyers LLC without any obligation or risk and we will arrange a free consultation to review your case, answer your questions and help you determine how best to move forward with your desired course of action. Should we be unable to collect compensation on your behalf, our services will come at no cost whatsoever to you.